In the past few months, we have analyzed a targeted campaign that tries to steal sensitive information from different organizations throughout the world, but particularly in Pakistan. During the course of our investigations we uncovered several leads that indicate this threat has its origin in India and has been going on for at least two years. The journey began with a code-signing certificate and an exploit and the scope of the investigation has widened ever since. In this blog post, we will highlight several interesting artifacts of the campaign, but more will be revealed in my upcoming presentation at the 7th International CARO Workshop in mid-May. For part of this campaign a code signing certificate was used to sign malicious binaries and improve their potential to spread. This certificate was issued in late 2011 to an Indian company called Technical and Commercial Consulting Pvt. Ltd., based in New Delhi. From the information we gathered, the attackers were actively signing malicious binaries from March until June 2012. Then, there is a gap in the timeline, from the beginning of July until the beginning of August 2012. We then see another spike in certificate usage (even though it had already been revoked) in August and September 2012. There are several possible explanations as to why there is a gap during the summer of 2012, but it is likely that this was the off-season for both the attackers and their targets. Although the investigation started with this code signing certificate, we then discovered several similar unsigned samples that were used in this campaign. Some of them were collected as far back as early 2011. The first infection vector we saw was using the famous CVE-2012-0158 vulnerability. This vulnerability can be exploited by a specially crafted Microsoft Office documents and allows arbitrary code execution. In the case we analyzed, a two-stage shellcode is executed when the user opens an RTF document. First, the shellcode sends information about the system to the domain feds.comule.com and then downloads a malicious binary from digitalapp.org. The other infection vector we found used PE files disguised as Microsoft Word or PDF documents, most likely distributed through email. When the user executes the file, the malicious program downloads and executes additional malicious binaries (more on these executables below). To evade suspicion by the victim, a decoy Word document is shown to the user. We have identified several different documents that followed different themes. 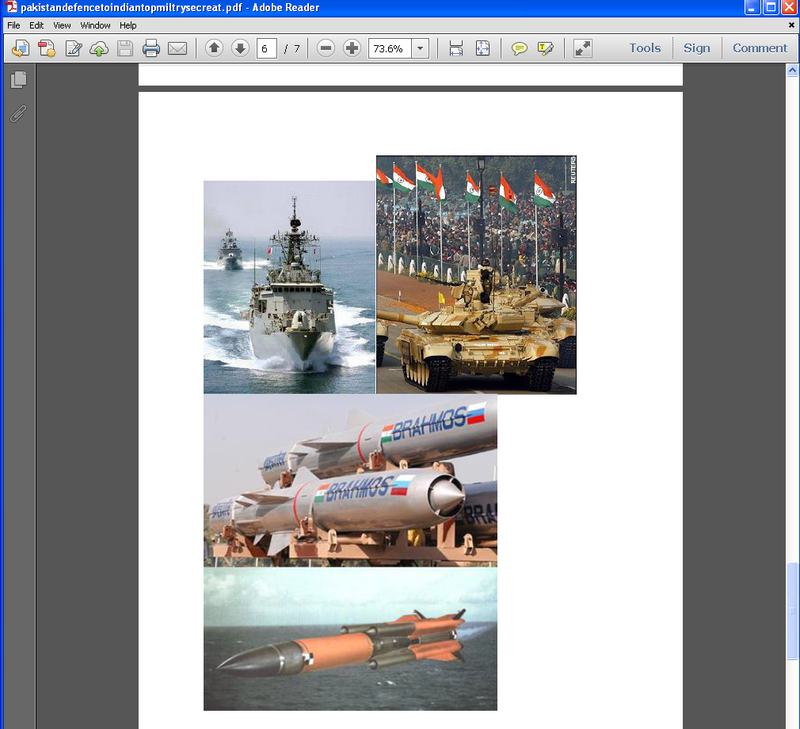 One of these themes is the Indian armed forces. We do not have inside information as to which individuals or organizations were really targeted by these files. However, based on our detection metrics, it is our assumption that people and institutions in Pakistan were targeted. 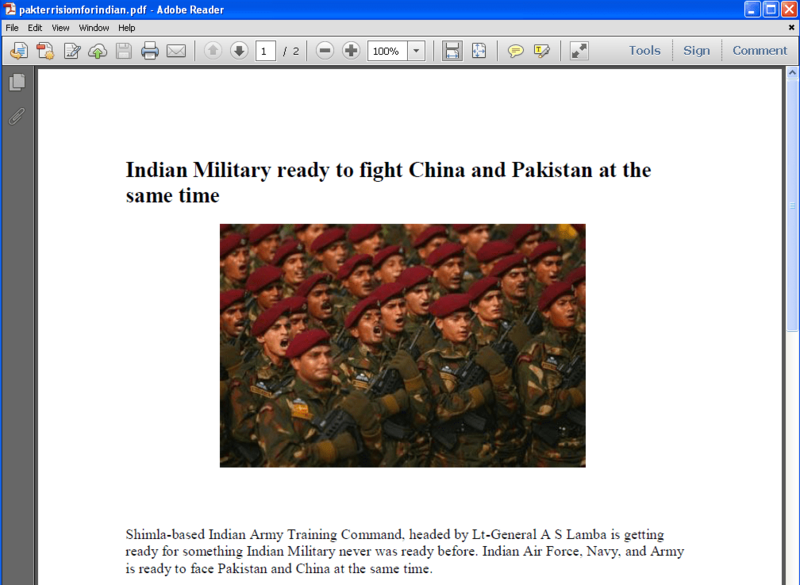 In this case, the text comes from the Asian Defence blog, a blog aggregating Asian military news. Our telemetry data shows that this file was first seen in August 2011 on a system in Pakistan. We found many different types of payloads installed by the droppers, all of them were geared towards exfiltrating data from an infected computer to the attackers’ servers. The following table groups the binaries in different families and details their general characteristics. Downloader Downloads executables from C&C and executes them. Document uploader Searches and uploads documents (csv, pdf, doc, docx, xlsx, etc) found in the trash and in the “My Documents” folder. 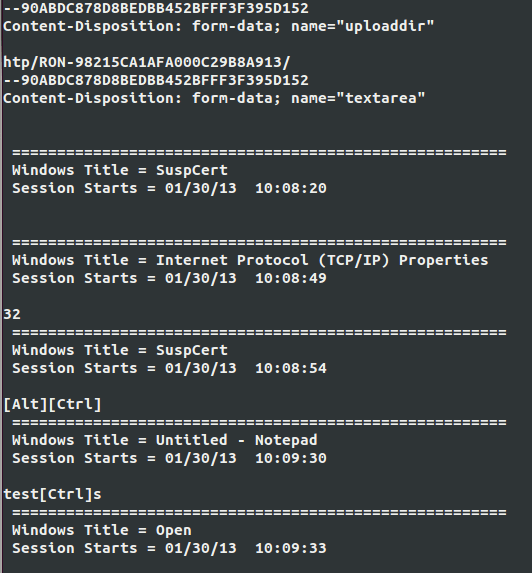 Keylogger Records keystrokes and sends log to attacker server using POST requests. Screenshot Takes a screenshot of the desktop and sends it to the C&C. Connect-back shell Continually tries to connect back to an hardcoded IP address and allows the attacker to open a remote command shell. Public Tools We found two public tools (WebPassView and Mail PassView) from NirSoft and signed by the malicious certificate. These legitimate tools can be used to recover passwords used in email clients or stored in browsers. Self-replication through removable drives Monitors removable drive insertion events and copies different malware files to the inserted drive. 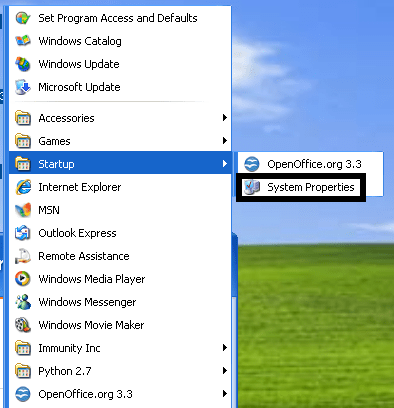 It tries to lure the user into executing one of the copied files by renaming it with an existing folder name and hiding the latter. The logs are very verbose and display the active window, the characters typed and the special keys in brackets. Since these logs are sent unencrypted, it is easy to detect the presence of an infected machine on your network by examining your HTTP network traffic. While this technique allows the different components of the attack to be launched after each system reboot, it cannot be labelled as stealthy. Since targeted attacks usually try to stay under the radar as long as possible, we were surprised to see this technique used in this case. We uncovered more than 20 domains linked to this campaign. While some still had an active DNS record, most of them did not resolve to an IP address. Using historical data around these domains, we were able to discover where these sites were hosted. It turns out that almost a third of all domains were hosted by OVH. This web hosting service has a reputation for hosting malware and spam content. In a recent HOSTExploit report it was ranked number 5 in the top 50 hosts for concentration of malicious activity served from an Autonomous System. Most of the domain names are very close to real site or company names. This is a common tactic to try to conceal the true purpose of the C&C server. Two examples are “wearwellgarments.eu” and “secuina.com”. The former is very close to a real website called “wearwellgarments.com” while the latter looks like a misspelling of information security firm Secunia. Analyzing this campaign allowed us to identify a few key indicators pointing to the geographic origin of these malicious files. We believe they all come from India. First, the code signing certificate was issued to an Indian company. In addition, all the signing timestamps are between 5:06 and 13:45 UTC, which is consistent with 8-hour work shifts falling between 10:36 and 19:15 in Indian Standard Time. This might seem a bit late, but considering that signing the binary is the last step in the development effort, it is likely that the malware authors were living in this time zone. Ramu Kaka is a typical Bollywood-style servant in a house. Considering that this variable is responsible for achieving persistence on the system, this definition is a good fit. The most compelling argument is found in our telemetry data. We found that many malware variants tied to this campaign appeared in the same location over a very small period of time. Each variant had only minor differences from each other, strongly suggesting an attempt by a malware creator to evade detection by our product. These files all appeared in the same region of India. Our telemetry data shows that Pakistan is heavily affected by this campaign. The following graph shows the detection distribution we have observed for all the malicious files we linked to this campaign in the last two years. Thanks to our sinkholing of three domain names used by this campaign, we were also able to gather statistics on the geographical location of infected hosts. As one can see, the regional distribution presented in the last two graphs is very different. 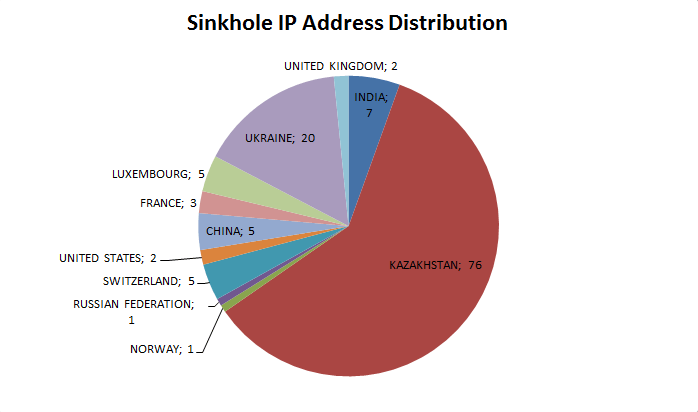 Ukraine and Kazakhstan account for three quarters of all IP addresses seen during the sinkholing operation. This difference can be explained by the possibility that unique domains are only for specific sub-operation in this campaign. If that was the case, the sinkhole data we are seeing would only be a very partial view of the whole campaign. This post examined evidence of a far-reaching targeted campaign aimed at different targets throughout the world. Our analysis indicates that the entire campaign originates from India. 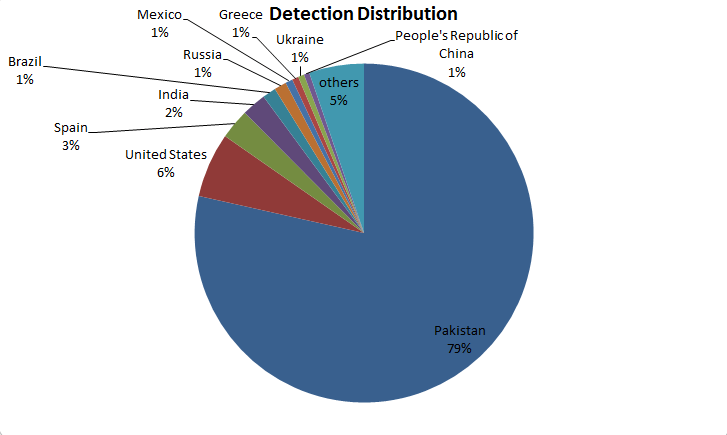 Although we have seen a number of infections throughout the world, it seems that the most prominent target is Pakistan. Targeted attacks are all too common these days, but this one is certainly noteworthy for its failure to employ advanced tools to conduct its campaigns. String obfuscation using simple rotation (a shift cipher), no cryptography used in network communication, persistence achieved through the startup menu and use of existing, publicly-available tools to gather information on infected systems shows that the attackers did not go to great lengths to cover their tracks. On the other hand, maybe they see no need to implement stealthier techniques because the simple ways still work.